Samsung Notebook 9:Review And Specification: Samsung has launched a new laptop know as Samsung Notebook 9 which is beautiful laptop with a beautiful display and awesome performance.Laptop is about 15-inch runs on Windows 10 without any issue user will love to use it but it doesn’t have touch screen which is a good function not include in this laptop. Samsung wanted to draw a killer machine and want some market share as it’s rival Apple already taken this market since the personal computing era. Samsung made this laptop with lot of refinement which should call it a laptop not tablet. Internal are pretty good and it won’t let you down in performance. Samsung have competition with many other manufactures as Microsoft’s Surface and many more. Let’s see how this paper specification really work in day to day environment. 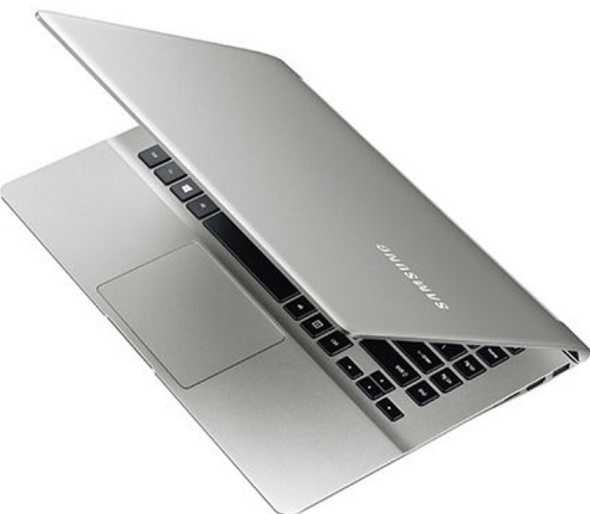 Laptop is very thing and light and feels like feather in this type of form factor and light in weight laptop we don’t see today only about 13-inch laptops are light but this takes the level of lightness in 15-inch form factor which is good build by Samsung. We will always get bulky and big laptop in this screen range but this laptop changes the way we look and feel at it. It just weigh about 2.9 which it much lighter as compared to Macbook Pro and as compared to thickness Samsung keep the casing in thin form factor of about 0.57-inch at it thickest point. It is made up of Magnesium-alloy. You think thinness means sacrificing port and hardware but don’t fell so this is rally a beast. On the left side of the Notebook 9 is a fast charging port, a USB 3.0 port, headphone jack, USB Type-C port, and a Mini DisplayPort. On the right side you’ll find another USB 3.0 port, HDMI port, and a microSD card slot. As this port useful in Macbook’s memory point of view. As we think of thinness this laptop will never keep upto your usage but this is not a matter here laptop is packed with Intel’s Core i7 processor with 8GB of memory and 256GB for storage. Computer doesn’t let you down it terms of performance and your usage and slowness will may never fear it. Using apps and running multitasking is good no hiccups and logs not occur and response rate of apps and opening time is phenomenal. Playing games is good but light only as it is not design for intense performance.But it tries to manage keep you part. Samsung tell that laptop able to mange to run 12 hour but some how this is disappointment for it as won’t able to do it but able to catch up to 10 hours. But the major comes with it fast charging technology which able this laptop juice up in about 90 minutes which is very awesome for a laptop to get this time. Battery disappointment can be coup up by charging speed which is kind of compensate the deal. The Notebook 9 variant doesn’t include touch feature which is pretty sad in terms of Windows feature but good as keep it laptop not called a hybrid stuff. Touch feature in laptop is purely impractical as it is design to use with touch-pad and keyboard not other interface required. As Microsoft make touch screen more refine in new update but it is good at tablet but track-pad won’t let you down as the responsiveness is great and more efficient than touch screen laptops. 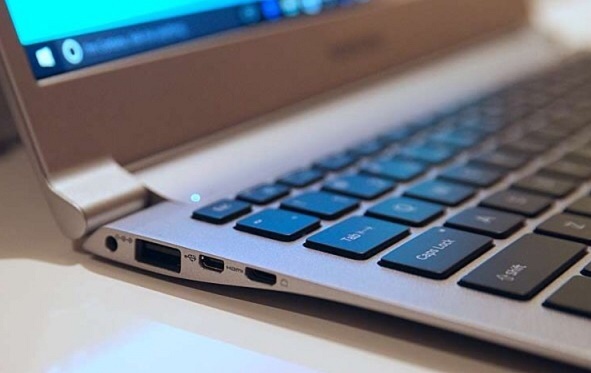 Typing is always best part of a laptop and in this field this Laptop good as keys are good and comfortable to type and nice to use it key are spacious and responsive to use. The display of this variant it full HD 1080p LED display with gorgeous picture and colors brightness and detailing are good to use in every type of work and can hold good in sunlight type work. The display it hand with hinge which completely move the screen 180 degree and put it in the desk and use as monitor on flat surface. 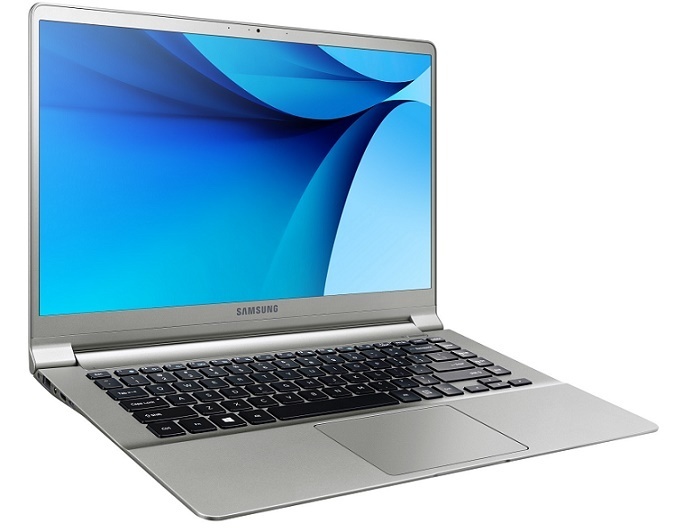 Samsung offer this laptop in two display for of 13-inch and 15-inch with 4K touchscreen. Laptop uses Windows 10 OS which is good OS from Microsoft till date. There are many bloatware pre install with system which are kind of annoying to use as some are useful for Samsung’s Galaxy series. Notebook 9 is priced at $1,100 which we review which is costly but have some good feature to compete this price range laptop’s the laptop is good and performs good. It won’t let you down to use but laptop build quality and material are upto the mark. The 13-inch variant of $949 which is also costly as we see Macbook Air which is far good and run seamlessly awesome than this laptop. As this laptop is thinner and lighter than Air but not able to match it simplicity and fell.